Custom cut for an exact fit and more durable than the factory mats, Lloyd Corvette Mats are just what your C6 needs to give it a little style and protect your floor at the same time. Lloyd Corvette Mats are a perfect match to the color of your Corvette interior. 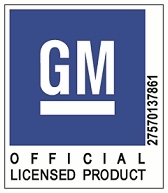 They feature the Corvette logo (licensed by Chevrolet) and the logo is in the popular new side location.